Emerald, the birthstone of May, is one of the most highly prized of all gems. With its vibrant green tone, emerald symbolizes rebirth, love, wisdom and success. It is said that wearing an emerald will bring one good fortune and youth. Emeralds get their characteristic green from traces of chromium in the crystal structure of the stone. While emeralds are known to be rather brittle, they are a very rare and very valuable gemstone with some of the finest specimens being mined in Columbia. 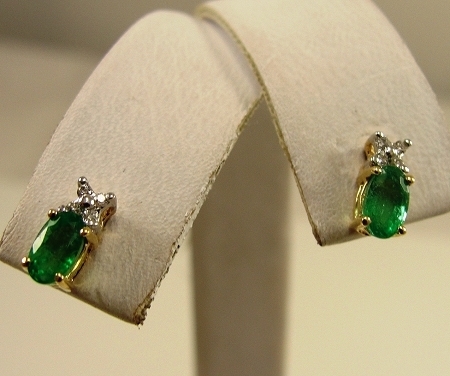 Colombian Emeralds are the rage right now in jewelry, so come on in to Good Ole Tom’s and see what we have in stock!